Spain is still number one for international buyers, reveals TheMoveChannel.com’s latest Top of the Props index. Spanish property accounted for 1 in 10 of all enquiries on the portal in April 2017, stealing back the top spot from the USA. This is the second time that the country has been the most popular destination on the site in 2017, after it ranked first in February, with 14.02 per cent of enquiries. 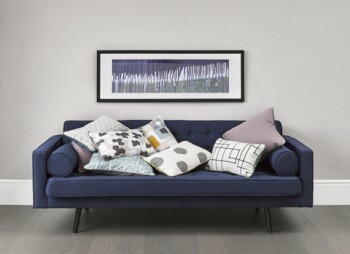 Spain’s return to the top of the chart is despite much speculation surrounding the impact of the UK’s vote to leave the European Union upon British buyer appetites. Historically, UK buyers have been the biggest spenders on Spanish property. The country’s appeal to a wide range of nationalities, though, remains undiminished: The Spanish Registrars’ latest annual report shows that foreign transactions now make up a record 13.25 per cent of transactions, despite a dip in demand for British investors. On TheMoveChannel.com, Spain also accounted for 31 of the 50 most searched-for locations on The MoveChannel.com in Q1 2017 – an all-time high for any country. Demand is also booming for Bulgaria, which surged 11 places up the Top of the Props index to steal fourth place. The country accounted for 4.09 per cent of all enquiries in May 2017, marking its first place in TheMoveChannel.com’s Top 10 in seven months and its highest ranking in the Top of the Props index since February 2015. May’s biggest climber, though, was Malta, which jumped 13 places in the chart to become the 11th most popular country on TheMoveChannel.com. This is the island’s first time in the Top 20 since August 2016, accounting for 1.45 per cent of enquiries, and its highest ranking since July 2013. Portugal held onto fourth place, with 3.37 per cent of enquiries, while interest in Cyprus continued to climb, as the country rose into fifth place. Cape Verde climbed seven places to seize sixth spot, just ahead of Italy and Indonesia. France and the UAE completed the Top 10. Click here to see the full top 40 property destinations for May 2017. Overseas interest in Cyprus strengthened in March, reveals TheMoveChannel.com’s latest Top of the Props index. The country re-entered the top 10 most popular countries on the portal for the third time in six months, becoming the sixth most sought-after destination. Foreign buyers returned to the island’s property market at the end of 2016, with enquiries rising 22 per cent in the second half of the year. After 2016’s strong finish, enquiries faltered at the start of 2017, but buyers are now showing signs of returning in greater numbers. In real terms, enquiries for Cypriot property rose by more than 50 per cent in Q1 2017 compared to Q4 2016. The country accounted for 3.03 per cent of enquiries, its highest share in two years. Interest also increased in Croatia, which climbed the Top of the Props charts to become the seventh most popular country on TheMoveChannel.com. This is the country’s first time inside the Top 15 since October 2016. Demand dipped for property in Spain, although the country held on to second place, behind returning number one destination the USA. US real estate accounted for 7.89 per cent of all enquiries, ahead of Spain’s 6.01 per cent. France and Italy also saw their share of enquiries decrease slightly, slipping to eighth and ninth place in the Top of the Props table respectively. Portugal held on to its fourth spot, with 3.96 per cent of enquiries. The coveted third place was stolen by Indonesia, which accounted for 5.98 per cent of activity. Indonesian interest was driven primarily by a resort on Gili Air, as the development tapped into rising demand for real estate from international investors. The more traditional safe haven of Germany, meanwhile, maintained its position in 10th place. “The USA and Spain have been battling to be top dog on TheMoveChannel.com for a long time,” commented TheMoveChannel.com Director Dan Johnson. “With prices climbing and sentiment in the USA’s economy staying positive, America remains an attractive market for international buyers. Spain’s appeal is still strong, although with the UK triggering Article 50 in March, British buyers may have postponed any enquiries last month to wait and see how negotiations with the EU begin. With the country making up the three most-searched locations on TheMoveChannel.com in Q1 2017, however, international interest from a diverse range of nationalities evidently remains high. Click here to see the full top 40 property destinations for March 2017. Interest in Spanish property surged to a three-year high at the start of 2017, reveals TheMoveChannel.com’s latest Hotspots Index. The report, which charts the most searched-for locations on the international property portal, saw Malaga soar to first place in Q1 2017 – the first time Spain has ever ranked in the number one spot. Malaga accounted for 4.01 per cent of all searches on the international portal in the first three months of 2017, climbing 18 positions from Q4 2016 to knock Italy’s Florence off its perch. This is the first time in 18 months that Italy has not topped TheMoveChannel.com’s Hotspots Index. Almeria was the second most sought-after location on the site, with 3.56 per cent of searches, followed by Tenerife (3.40 per cent) and, down three places, Florence (2.63 per cent). Benidorm completed the top five with 2.53 per cent of searches. Indeed, Spain was home to eight out of the 10 most popular locations in Q1 2017, the highest percentage of the Top 10 ever held by a single country since Hotspots Index records began in Q4 2014. Spain was also responsible for 13 out of the Top 15. Portugal was home to 8 of the Top 50, ahead of Italy (5) and France (3). 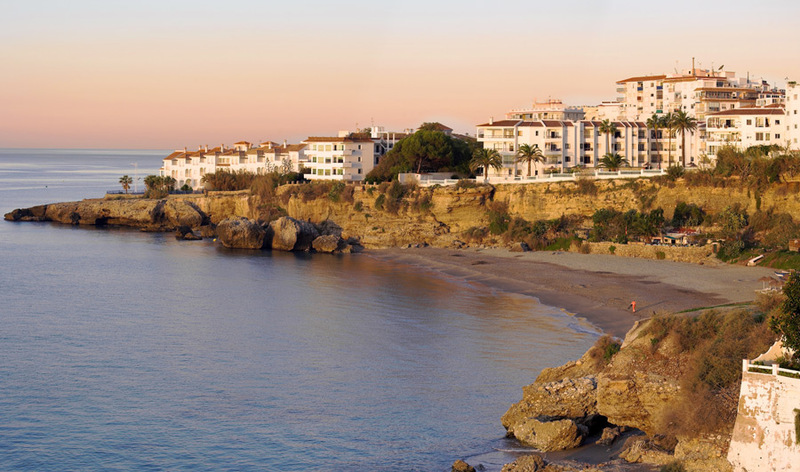 Portugal’s most popular hotspots were Albufeira (14th), Cascais (18th) and Alvor (19th). Interest in Italy was fuelled by Florence (4th), Rome (8th) and Verona (27th). France’s most sought-after hotspot was Paris (15th), highlighting the capital’s importance as a magnet for romantic lifestyle buyers and a safe haven for wealthy investors. Thailand’s Pattaya climbed two places in the chart, attracting the 16th biggest share of searches. 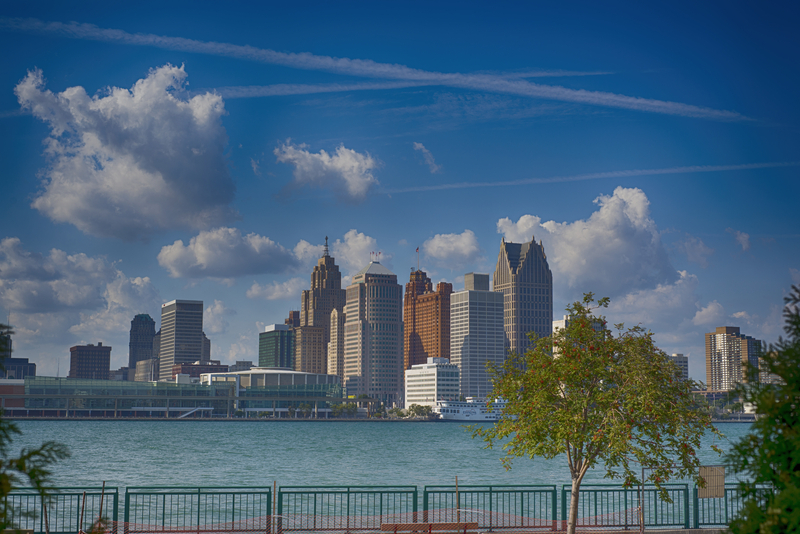 Greece’s Athens was the 45th most popular hotspot, while the USA accounted for one hotspot: Detroit, ranked in 33rd. Spain, though, dominated buyers’ wishlists at the start of the year. The country was home to 31 of TheMoveChannel.com’s Top 50 hotspots, more than double its share of the index in Q4 2016 and an all-time high for any country. The figures follow Spain’s similar rise in TheMoveChannel.com’s latest Top of the Props report, which saw the country account for 14.02 per cent of all enquiries on the site in February 2016 – its largest share of activity since 2013. Indeed, new data from Spain’s Land Registry shows that sales of property increased 19 per cent in January year-on-year to reach the highest number of transactions since January four years ago. “Spain is undoubtedly the flavour of the month,” says Dan Johnson, Director of TheMoveChannel.com. 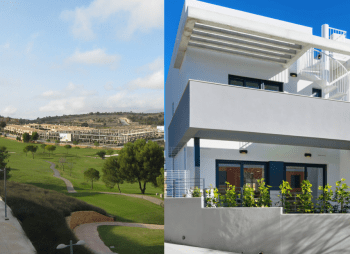 “Searches and enquiries are both at highs not seen for several years, showing that foreign buyers are actively seeking opportunities in Spain and are following through on those searches. Agents have reported a slowdown in enquiries from British buyers since the Brexit vote, but expat favourite Benidorm’s position in Q1’s Top 5 hotspots shows that there is still interest from the UK, despite the pound’s weakness against the euro. Click here to see the full Top 50 Hotspots on TheMoveChannel.com. Foreign property buyers are going back to Greece at the start of 2017, reveals TheMoveChannel.com’s Top of the Props index. The country was the fourth most popular country on the international property portal in January 2017, its first time in the Top 10 in six months. Greece stormed the charts at the start of the new year, rising 18 places to overtake Portugal in the monthly report. Greek real estate received 2.1 per cent of all enquiries on the international portal during January. This is the country’s highest share of enquiries since August 2013, when it accounted for 3.26 per cent of all enquiries. Greece’s last time in the Top 10 was in July 2016, when it was ranked ninth, with 1.39 per cent of enquiries. Italy also enjoyed rising overseas interest, climbing five places in the Top of the props chart to be the third most sought-after destination. Italian real estate accounted for 5.97 per cent of January’s enquiries, up from 1.59 per cent in December 2016 and its highest share since August 2012 (6.12 per cent). Spain held on to second place, confirming the country’s continuing appeal to foreign investors. Portugal rose one place into fifth, increasing its share of enquiries from 1.92 per cent to 2.02 per cent. France slipped into ninth, but remained in the Top 10 for the 17th month in a row, just above Thailand and just below Germany. After a dip in popularity, following the introduction of Vancouver’s foreign buyer tax last August, Canada saw investors return, with the country climbing into sixth place. The USA remained the most popular destination on TheMoveChannel.com for the seventh consecutive month, accounting for one in every six enquiries (14.65 per cent). 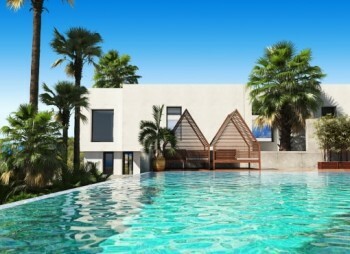 “After a brief rekindling of interest last summer, the start of 2017 showed signs of overseas demand for Greek property flickering back to life,” comments TheMoveChannel.com Director Dan Johnson. 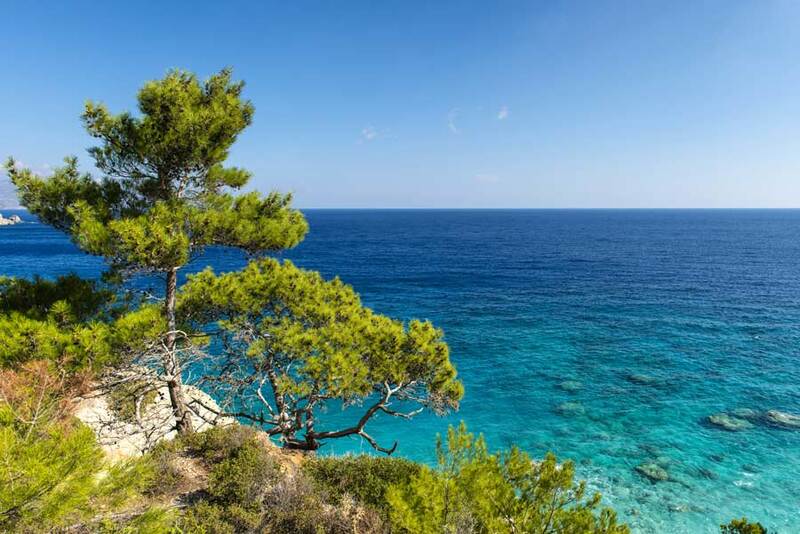 “Interest was not just contained to one area, but across several regions, with enquiries soaring for property in the North Aegean, Crete, the South Aegean and Attica. Click here to see the full top 40 property destinations for January 2017. Spain’s appeal to international property buyers shows no sign of waning, according to TheMoveChannel.com’s latest Hotspots Index. The quarterly report, which analyses location searches on the property portal, reveals that Spain is enjoying a rebound in popularity at the end of 2016, led by Barcelona and Benidorm. Italy’s Florence remained the most sought-after hotspot on the property portal in Q4 2016, accounting for 3.37 per cent of location searches, up from 2.86 per cent in Q3 2016. This is the second quarter in a row that Florence has been the top hotspot on TheMoveChannel.com, after overtaking Rome in Q2 2016. Rome remained the second most popular market for house-hunters. While Italy dominated search activity in Q3 2016, though, making up seven out of the Top 10 hotspots, the country’s share in Q4 2016 fell to three out of 10, just ahead of Portugal’s two. 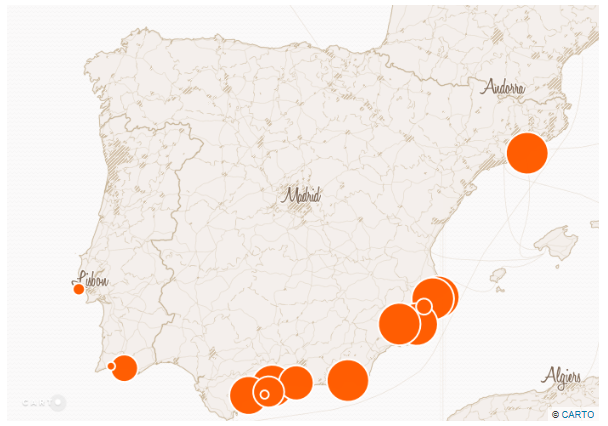 Spain, on the other hand, saw a rebound in searches, accounting for four out of the Top 10 destinations. In Q3 2016, Spain accounted for none of the Top 10, highlighting the significant rise in interest quarter-on-quarter. Spain’s renewed international appeal was fuelled by Barcelona (sixth place, 1.06 per cent of searches) and Benidorm (seventh place, 0.99 per cent). Torrevieja and Tenerife completed the Top 10 in ninth and 10th place respectively. Spain also dominated the overall Hotspots Index, accounting for 18 out of the Top 50 hotspots – up from 10 in Q3 and higher than any other country. Italy was the second most in-demand, accounting for 13 out of the Top 50. Portugal was third, with 10 out of the Top 50. Thailand’s Pattaya held onto its 18th place ranking. Liverpool also remained the UK’s only entry in the Top 50, sliding from 34th to 36th in the chart. Canada saw its first entry in the Hotspots Index, with Toronto receiving the 32nd highest share of searches in Q4 2016. “There has been talk in recent months of declining demand for Spanish property in the wake of the UK’s vote to leave the European Union, thanks to the pound’s weakness,” comments TheMoveChannel.com Director Dan Johnson. “Spain, though, still shows signs of being as popular as ever among lifestyle buyers, with the Costa Blanca, Costa Brava and British expat favourite Benidorm all among the most searched-for destinations on TheMoveChannel.com in Q4 2016. For US or other non-EU buyers, Spain is also an attractive investment, for either buy-to-let or capital growth opportunities. 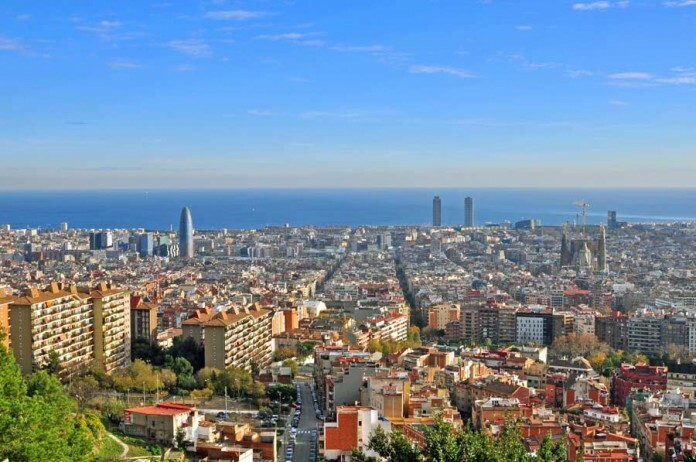 It is perhaps no surprise that Barcelona, which combines both tourist and investor markets, is the most popular hotspot in Spain. Click here to see the full top 40 property destinations for November 2016. 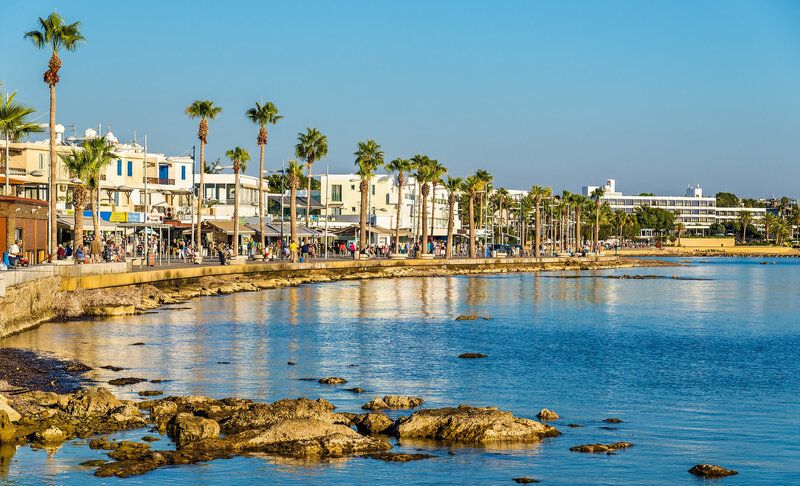 Overseas buyers are showing signs of returning to Cyprus, with the country entering TheMoveChannel.com’s Top 10 most popular destinations in November for the first time in a year. The property portal’s latest Top of the Props report reveals a rebound in interest for Cypriot real estate, with enquiries for property on the island reaching a 12-month high in November 2016. Enquiries more than doubled in real terms month-on-month, taking the country storming 10 places up the Top of the Props chart to steal the eighth spot, knocking France down a place in the process. Cypriot property accounted for 1.62 per cent of all enquiries on the portal in November, marginally ahead of French property’s 1.6 per cent. This is the country’s highest share of enquiries since November 2015, when it accounted for 2.29 per cent. TheMoveChannel.com Director Dan Johnson comments: “2016 has been a dramatic year with a number of surprising events on the world stage, from referendums and elections to property taxes. Investors continue to adapt and adjust their focus in response, while lifestyle buyers continue to look for their place in the sun. In a sign that property hunters are taking into account fluctuating currency exchange rates, demand climbed in Mexico, where the peso is weak, last month, and also in Bulgaria, where prices are lower than more expensive European lifestyle destinations. 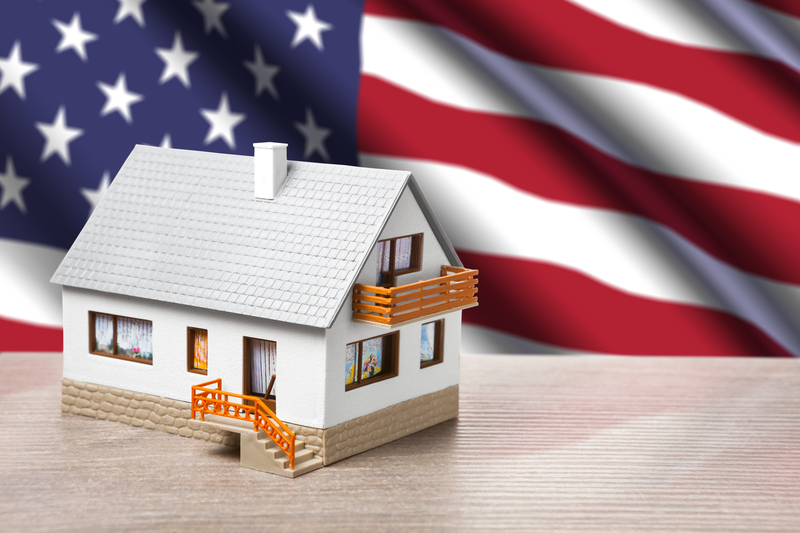 Overseas investors are still in love with the USA, reveals TheMoveChannel.com’s latest Top of the Props report. US property stole back the number one spot from Spain in July 2016, becoming the most sought-after country on the property portal, for the sixth time this year. The recent vote by the UK to leave the European Union has seen both the pound and euro weaken against the US dollar, but international investors around the world refused to be deterred from their American dream in the month following the referendum’s result. US property accounted for 1 in 12 of all enquiries (8.1 per cent) across the month, climbing two places in TheMoveChannel.com’s chart to overtake both Spain and the UAE. While the UK is preparing to leave the EU, investors have lost none of their appetite for the continent’s real estate. Despite Spain’s slide into second place, enquiries remained strong for European property in July, with familiar favourites Portugal, Italy and France all in TheMoveChannel.com’s 10 most popular destinations. Buyers returned to Greece, with the country’s share of enquiries hitting a 19-month high in July. As a result, the country climbed five places from 14th to ninth. Interest in Germany is also at a record high, with the country entering the Top 5 for the first time. Bulgaria and Cyprus both entered the month’s Top 15 destinations too. Away from Europe, demand for Dubai real estate remains strong, with the UAE continuing to move up and down within TheMoveChannel.com’s Top 10 destinations. According to data from the Dubai Land Department (DLD), British nationals are the third largest group of investors in the city’s property, with experts welcoming the recent price correction for residential property, as the market moves from speculative to end-user investment ahead of 2020’s Word Expo. The Philippines has been another rising star of 2016, with the country re-entering the Top 5 destinations on TheMoveChannel.com in July. This is the third time the islands have appeared in the Top 10 this year. With both the Philippines and UAE removed from the unfolding EU situation, will they become new favourites for post-Brexit investors, or is July’s rising interest just driven by strong opportunities? Ray Withers, CEO of specialist international property investment company Property Frontiers, which has recently brought the Portofino Ocean’s Edge resort to the market, attributes the Philippines’ appeal to the country’s record-breaking tourism figures. Click here to see the full top 40 property destinations for July 2016. Dubai has long been associated with luxury developments and extravagant architecture, but the emirate’s property market continues to grow and mature – and it’s a change that is welcomed by developer Nakheel. 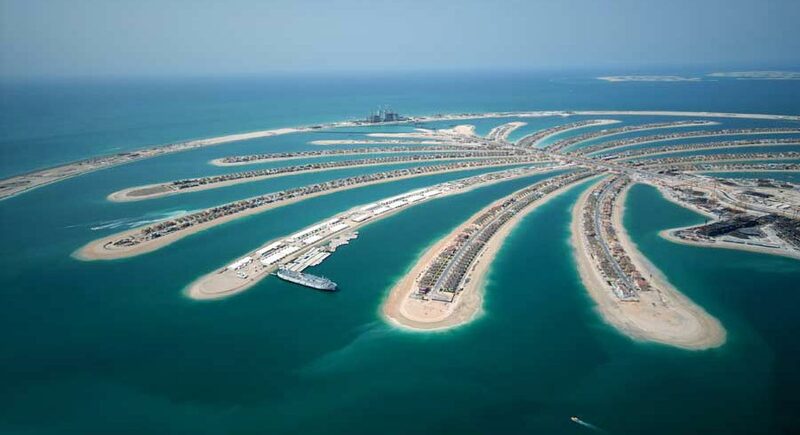 The company behind the iconic Palm Jumeirah was in London at The Dubai Property Show this month. In an exclusive interview with TheMoveChannel.com, Chief Commercial Officer Aqil Kazim discussed the changing face of the Dubai real estate. Dubai’s prices cooled last year, but the mood is positive in the real estate industry. Dubai is hosting the World Expo in 2020, something that is widely expected to give a boost to Dubai’s property market. Overseas buyers are heading back to Italy and France, reveals new research from TheMoveChannel.com. The portal’s Q4 2015 Hotspots Index saw Rome remain the most searched-for location in the world in the final months of the year. This is the third consecutive quarter that Rome has held the number one spot. Italy’s rebound in popularity has been building throughout 2015, thanks to the country’s strong lifestyle appeal, which has been amplified by the weak euro. Favourable exchange rates have fuelled demand for all of Europe’s traditional property hotspots, with Spain and Portugal in particular stealing the limelight. Now, though, the tide may be about to change. Portugal’s share of searches on TheMoveChannel.com reduced for the first time in Q4 2015, accounting for 11 of the Top 50 locations in the portal’s Hotspots Index. Interest remains high for Portuguese property, with the country accounting for four of the Top 10 locations. Indeed, Ponta Delgada rose 11 places in Q3 2015 to storm into the Top 10. It rose one more place in Q4 2015 to seize the second spot with 1.31 per cent of all location searches. Ericeira (1.21 per cent), though, slipped into fourth place, as Fiji’s Lautoka (1.27 per cent) overtook to take third. Spain, despite accounting for eight locations in the Top 50 (up from seven in Q3 2015), saw Malaga slide into ninth place with 0.83 per cent. Cyprus and Greece, meanwhile, fell out of the Top 10 altogether, as buyers swapped their economically uncertain markets for old favourites. Buyers have also returned to France in greater numbers, with the country entering the Top 10 for the first time in Q4 2015. Lyon raced 12 places up the chart to become the sixth most searched-for location (1.06 per cent), followed by Paris, which rocketed 28 places up the chart to become the seventh most popular location (1.02 per cent). Italy completed the Top 10 with another new entrant: Terni, the fifth most popular location in Q4 2015. 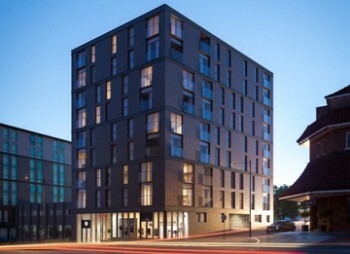 “The weak euro has been the defining story of 2015, sending buyers from overseas – particularly the UK and the USA – flooding into Europe’s property markets to snap up available opportunities. 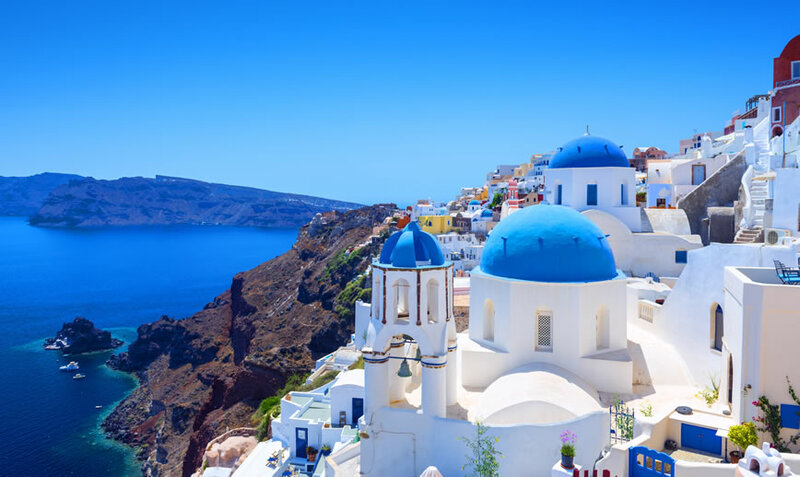 While Portugal and Spain have dominated demand for the majority of the year, France and Italy are starting to steal the show, their relatively stable markets stealing house-hunters away from the more uncertain bargain zones of Greece and Cyprus. “France’s record low mortgage rates mean that real estate in the country is more affordable than it ever has been, especially in comparison to rising UK house prices. You would expect to see Paris in the Top 10 most searched-for locations in the world, so it is revealing that the French capital is now taking its rightful place in the Hotspots Index. Click here to see the full Top 50 hotspots on TheMoveChannel.com in Q4 2015. The USA has overtaken Spain to reclaim the number one spot in TheMoveChannel.com’s Top of the Props league. Spain has largely dominated the Top of the Props table in 2015, thanks to the country’s gradual recovery attracting more buyers, as well as the appeal of favourable exchange rates with the weak euro. The USA, though, has also proven attractive, with markets such as Florida and Detroit already established among international investors. Enquiries for US property in real terms increased 14 per cent in October 2015 month-on-month, taking the USA into the number one position for only the fourth time this year. US property accounted for 8.86 per cent of enquiries in October, up from 8.02 per cent. Spain, on the other hand, saw its share of enquiries slip from 9.33 per cent to 7.78 per cent. This is the first time that Spain has not been ranked number one in five months. Brazil also enjoyed a mini-boom in popularity, its share of enquiries almost doubling from 3.9 per cent in September 2015 to 6.29 per cent in October. As Brazil rose one place into third, Portugal was hot on its heels, climbing back into the top five to seize fourth spot. France fell two places, but remained in the top five, its share of enquiries edging down slightly from 4.93 per cent to 4.11 per cent. Thailand also fell slightly out of favour among buyers, dropping out of the top 10 for only the second time this year, as attention instead shifted to Turkey and the UAE. The Cayman Islands was the month’s biggest climber, rocketing 30 places up the rankings to enter the top 10 for the third time in 2015 so far. On a long-term basis, though, October’s Top of the Props rankings highlight the established favourites among overseas investors: Canada’s drop out of the top five caused the top of the table to return the same European-heavy line-up that was most popular with investors in 2013: USA, Spain, Brazil, Portugal and France. Indeed, while America is top dog, France’s ongoing presence in the top five demonstrates the improving sentiment surrounding the country, with enquiries up 24 per cent in real terms month-on-month and up 43 per cent in the three months to October 2015 compared to the preceding three months. Greece also saw its number of enquiries rise 18 per cent month-on-month, while Portugal enjoyed a surge of 77 per cent month-on-month. Click here to see the top 40 property destinations on TheMoveChannel.com in October 2015.